Celebrities may seem like they were made for the spotlight with their glamour and innate star quality. While many of the biggest names in Hollywood grew up in the limelight, there are actually those who, may have been destined for fame, but it wasn’t something they were born with. That being said, many of today’s biggest celebs actually started off as regular people. This means that there are plenty of people who knew them before their talent turned them into the most famous faces in the world and their lives turned into 24/7 glitz and glam. There are those who dated these stars back in high school or college, those who were friends with them, and those who just happened to go to school with them. Regardless of how these ordinary folks knew these celebs, they certainly have interesting things to say about how they were before they became rich and famous. Here is what some unknown people have to say about some of the biggest celebs today. Currently, Ariana Grande is one of the biggest names in pop music, but there was a time before all of the fame and fortune where she was just an ordinary high school student. The gentleman here recalls a time when he was in school with a young Ari and they did theater together; he even admitted that they two dated for a bit back in the day as well. We can’t imagine Ariana dating someone aside from her fantastic list of former flames, but there were actually a few long before those who made into her hit song Thank U, Next. Maybe now that she and Pete have unfortunately called it quits, this guy can get back in the game! Bradley Cooper has a smolder that few can resist – specifically not his Russian supermodel girlfriend or his A Star is Born co-star, Lady Gaga – but there was a time where he was just like us regular folk. While he was still just as delicious back in the day, he wasn’t dating Irina or performing intimate love scenes with a best-selling pop star. That didn’t mean ladies weren’t lining up to call him theirs, of course. Take this woman here who claims to have just “known Bradley Cooper in college”. We’re sure that if she had the chance, however, she wishes he could have been more than just an acquaintance. Sorry, hon, but you’ll have to get in line now. Back when Ashton Kutcher was known as Chris – that’s right, Ashton is his middle name and not his first – he was dating just a regular woman. While it may be hard to imagine him with someone who is not as famous as Demi Moore or Mila Kunis, he was just like us before he made it big. 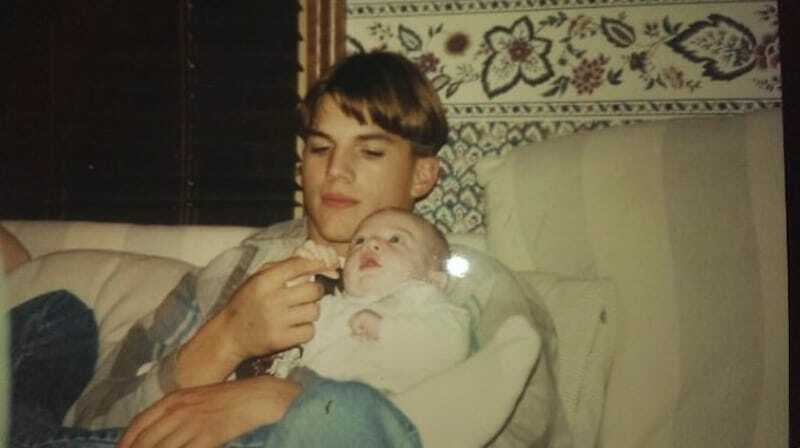 A young woman actually shared this photo of Ashton holding her brother saying that “Chris” could have been her uncle if things had progressed between him and her aunt. Her life probably would have been quite different if someone like Kutcher had married into her family, that’s for sure. It makes us wonder, however, what happened between him and the aunt in question. 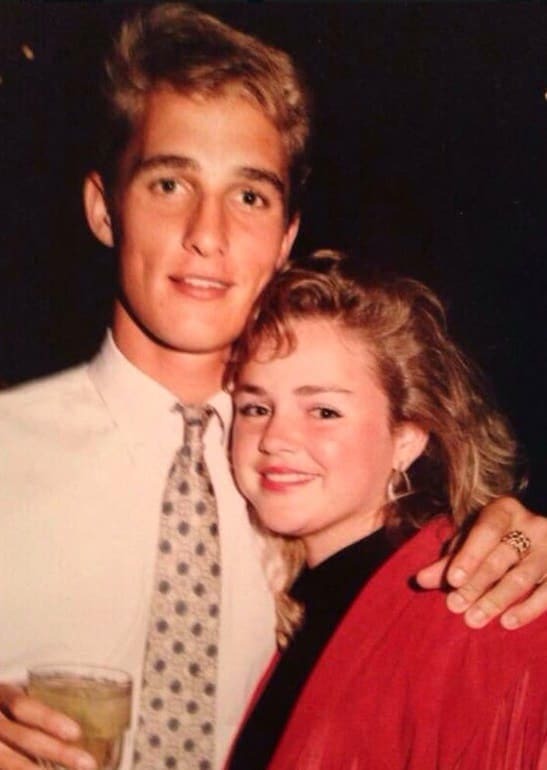 For those who ever questioned, doubted, or just wondered, Matthew McConaughey was just as adorable growing up as he is today. When he was just a young man, he dated this woman, and, we must say, that they really did make a cute couple. These days, he chooses to be with Brazilian models, like his stunning wife Camila Alves, but there was a time where any ordinary woman could have been lucky enough to date him. Before McConaughey became a big movie star, he was just a normal college student at University of Texas at Austin studying Radio-Television-Film and a Delta Tau Delta fraternity brother. Thankfully, he made it to Hollywood and we now get to see his films. Emilia Clarke burst into the TV scene when she was cast as Daenerys Targaryen in the wildly popular adventure drama Game of Thrones. This show made her one of the highest paid TV stars out there, but she used to just be a normal heartbreaker – not intentionally, of course. One guy recalls going on two dates with Clarke before she was Khaleesi and, though, things didn’t work out, he said she was really sweet and witty, and he wishes things could have progressed – duh! Country superstar Blake Shelton may be with Gwen Stefani now – not to mention the fact that he was married to Miranda Lambert – but there was a time where he wasn’t dating famous singers. Long before his career took off, and before he became a jude on the voice, he was just a regular dude who loved country singing. Apparently, one girl’s mom – pictured here – had a thing with Shelton back then, and her aunt was with his bass player. The two woman probably love telling stories about back in the day. Well, it seems like it’s time the world knows that Anna Kendrick is just as cool in real life as she seems on the big screen – as if anyone ever doubted that for a second. Anyway, one girl recalled Kendrick being one of the counselors assigned to her bunk at summer camp. She said that Anna was extremely nice, laid-back, and hilarious. It seems like not much has changed since then. The girl even mentioned that Kendrick would sing to them before bed. Can you imagine a wold without Ed Sheeran’s sweet, beautiful voice? We sure can’t. While Snow Patrol has been around since 1994, it took ten more years for Ed to get noticed. 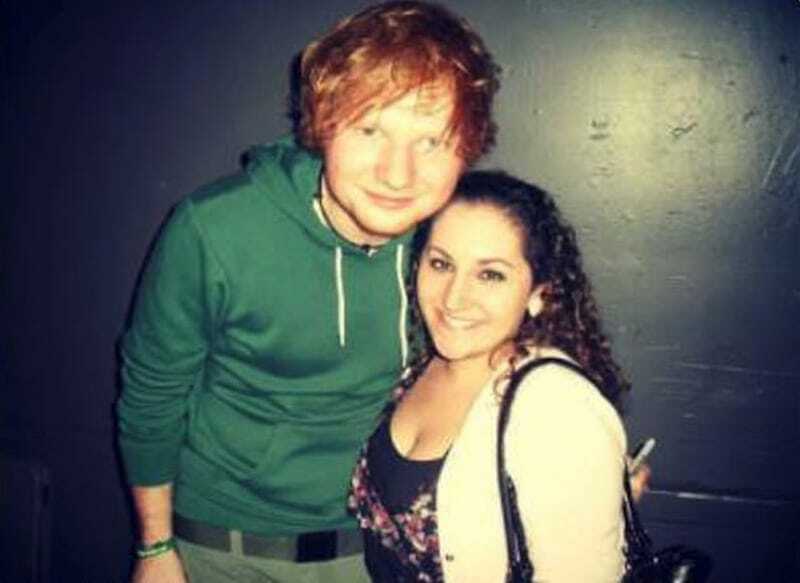 He did, however, open for the band while he was still pretty unknown and this girl was able to get a pic with him. Now, he is arguably bigger than Snow Patrol – sorry to say it – and has his own sold-out tours. In fact his ÷ Tour is currently the fourth highest grossing of all time. 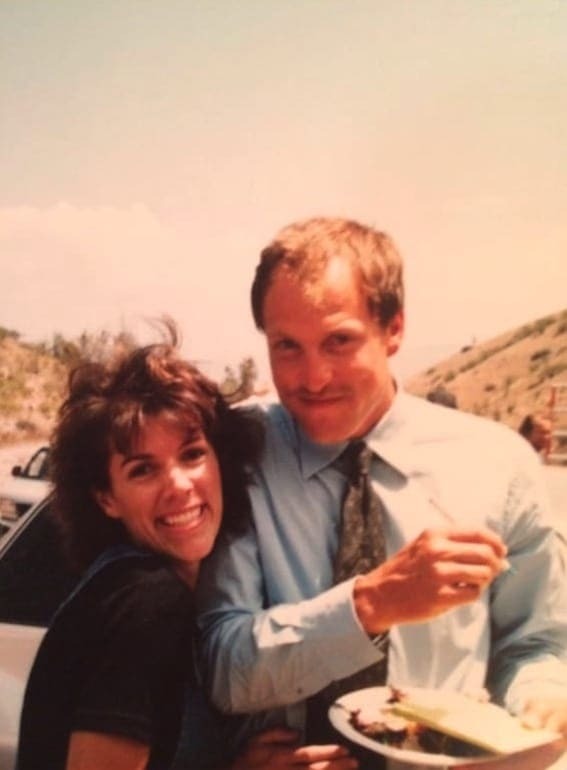 Woody Harrelson is known for his unique sense of humor, but to this woman, he is known as her former fling. Apparently the woman pictured here thought it was high time she told her daughter that she dated Woody. Her daughter thought it was so awesome, she simply had to share this photo with the world. They sure do seem pretty happy, and we wonder this was before or after his first marriage to Nancy Simon – playwright Neil Simon’s daughter. There are probably few people on this planet who can imagine Kristen Bell being with anyone other than her husband, actor Dax Shepard, but there is one guy who dated her a while ago and said he would have married her. The guy claims she was the same adorable and lovable Kristen back then as the one we know today, and he wishes things had lasted longer than just the month that they did. Although it ended on her terms, he still thinks of her as a great person. In case you ever wanted to know what Jimmy Fallon looked like when he was just a young man, here is a prime example. 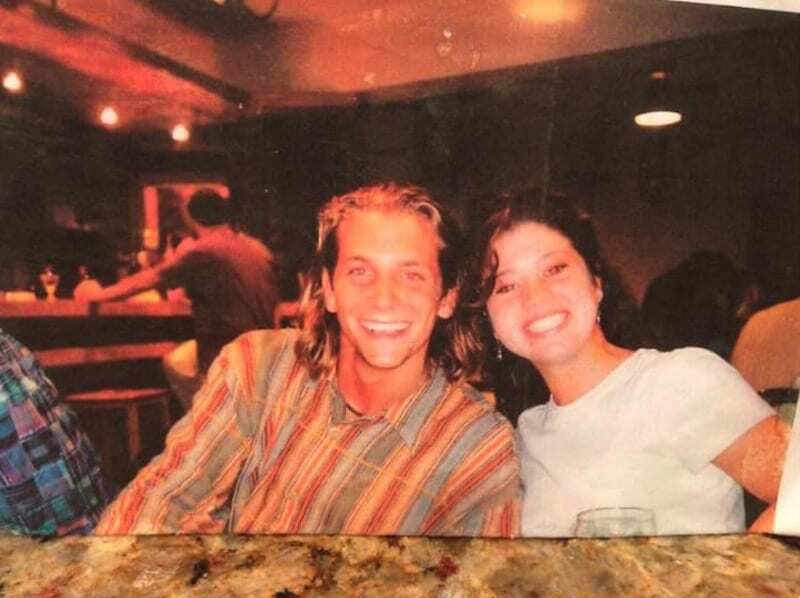 One girl shared this photo of the television host and her aunt, who dated him way back when. 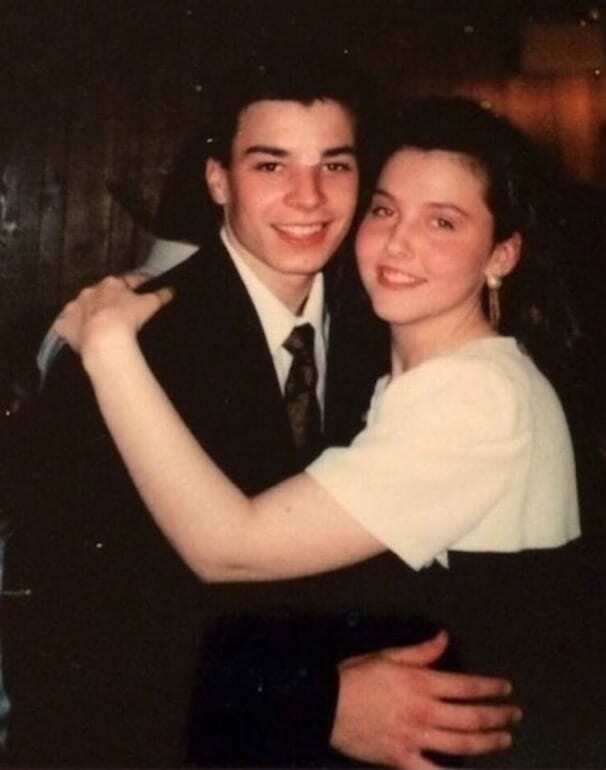 This almost looks like it could have been a high school dance and Fallon sure does look young. We wonder what happened between him and this lady here that Nancy Juvonen beat her to the punch as the comedian’s wife. 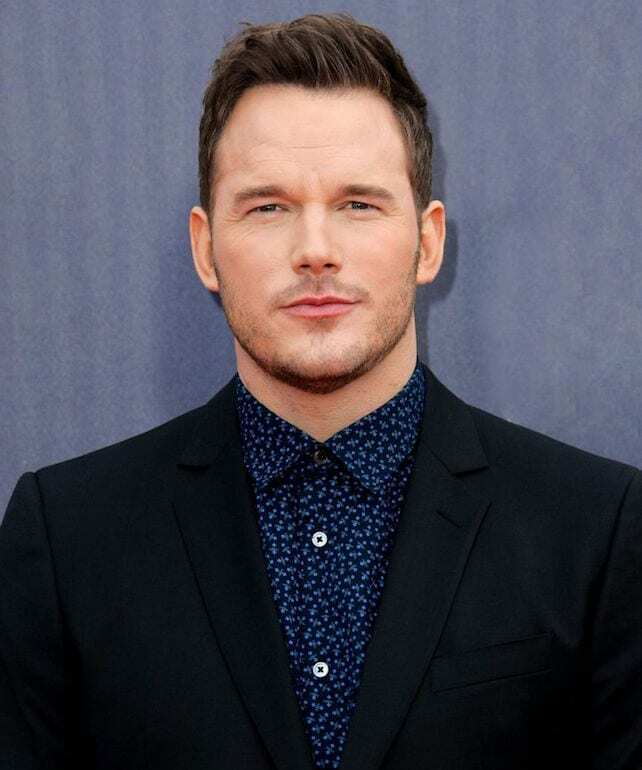 One person who went to middle school with Chris Pratt said he is actually pretty similar to his Parks and Recreation character. They also said that he was really cool, hilarious and popular, but it didn’t stop him from being nice to everyone. Another person said their cousin dated Pratt after high school and she mentioned that he was really sweaty. That person even went as far as to suggest their cousin may have been the reason Chris ended up in Hawaii. The actor was homeless there for a bit. There are many people who saw Taylor Swift perform before she became a huge star and they all said basically the same thing: they knew she was going to be famous. They all mentioned the determination she had in her eyes; they predicted that her music would explode; and that she would enter stardom. This all dates back to when she was just 14, performing at free concerts, and taking any gig she could get. Now, people are paying big bucks to see one of her shows. At least that’s what one guy who briefly dated her before she was famous had to say. We would actually have a hard time believing that she was anything else but a kind woman, so this definitely makes sense to us. Anyone else waiting very impatiently for Good Girls to come back? There are countless people who would give just about anything to hang out with Lady Gaga. This lucky lady was actually able to just that back in 2008. She was at a show in Las Vegas right around the time Gaga’s first big song Just Dance had been released. 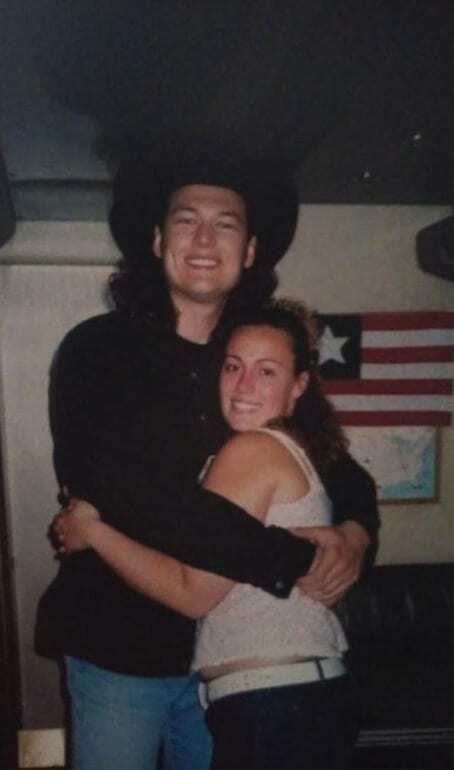 The star was no where near as big as she is today, and this girl probably had no idea that she was hugging a future celebrity when she snapped this photo. She said that the artist was “incredibly sweet and fun” and she probably realizes now how incredibly awesome it is that she got to hang out with such a huge star before she was even famous.